William Henry Harrison (John Cusack) thought he had it all: A big house, a fast horse, and a high-powered job working as President of the United States. But when he discovers that he only has thirty days to live, he realizes that life in the fast lane isn’t all it’s cracked up to be. 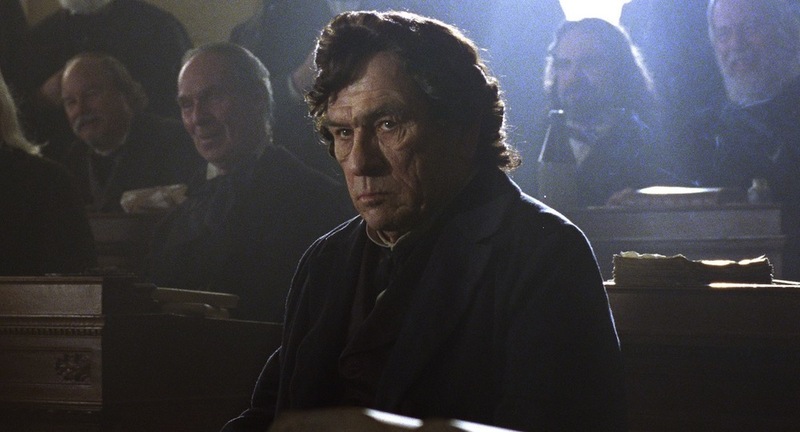 With time running out, Harrison must reconnect with his wife Anna (Laura Linney) and his ten children, undo the policies of Andrew Jackson and Martin Van Buren, and learn to loosen up and seize the day. But to start, he’s finally going to fulfill his lifelong dream of giving the longest inaugural address in U.S history. A corpse turns up in two non-consecutive pieces and it’s up to the young sheriff of Erie County, future president Grover Cleveland (Channing Tatum), to crack the case. The first film in a planned trilogy, Erie County aims to introduce the rich Grover Cleveland mythos to the general public without losing any of the elements that die-hard Grover-heads love. Keep an eye out for fan-favorite characters such as future Secretary of the Navy William Whitney (Taylor Kitsch) and, of course, Cleveland’s arch-nemesis, Benjamin Harrison (Josh Duhamel). After a series of wacky misunderstandings, Senators Daniel Webster (Seth Rogan), Henry Clay (Jonah Hill), and John C. Calhoun (Michael Cera) are forced to share an apartment! These legendary statesmen will have to learn to make compromises about chores, bills, and whether territories will be admitted to the union as free or slave states. Can Webster bring himself to accept a deal that would strengthen the fugitive slave act? Will Clay keep the country from plunging into civil war? Can Calhoun win the heart of their neighbor, a kind-hearted schoolteacher (Emma Stone)? And will all three men learn something about the true meaning of friendship before their lease is up? At the Democratic National Convention of 1896, William Jennings Bryan (Liam Neeson) made a speech that everyone thought was about the gold standard. In reality, he was trying to warn the nation of a grave threat from beyond space. Now, with the help of his quirky assistant (Olivia Munn), he travels the country fighting off an invasion of interstellar monsters that are made of gold and shaped like crosses. This summer, “You shall not crucify mankind upon a cross of gold!” Presented in eye-popping IMAX 3D.